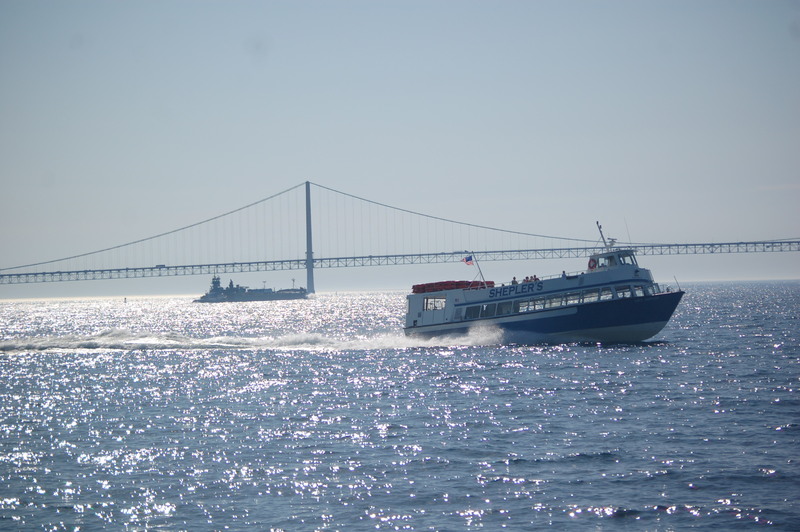 Shepler’s Ferry is celebrating their 70th anniversary this year, and if you’ve ever taken one of their blue and white boats to Mackinac Island you know they deserve recognition for their tireless work and attention to customer service. 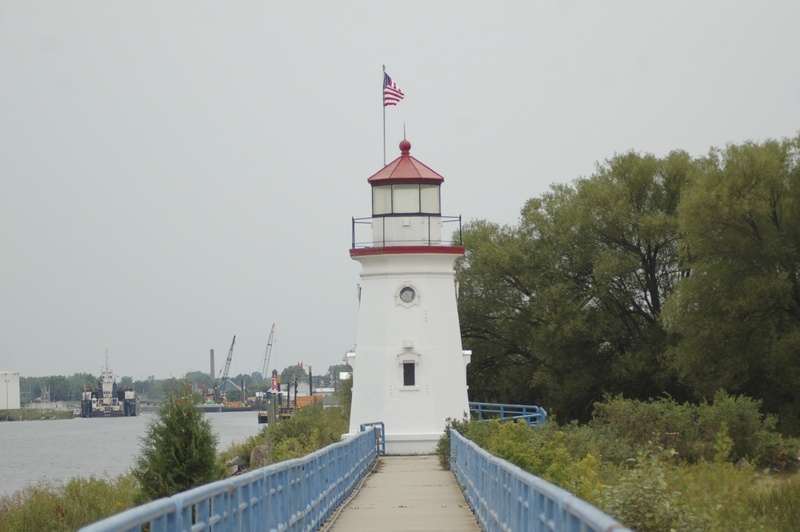 We had been taking their boats to the island for years before we learned of another offering – cruises to Michigan lighthouses that are normally pretty hard to get to. 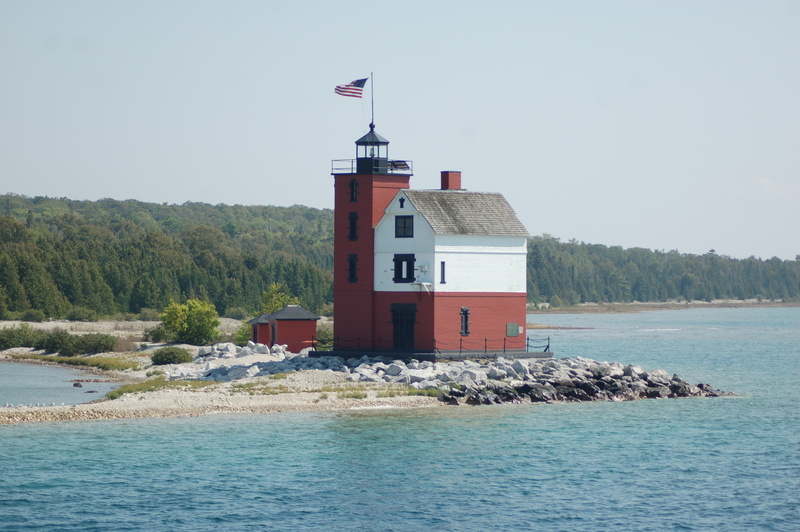 If you’re a lighthouse enthusiast or just looking to see a little more Michigan scenery from the lake than normal, we definitely recommend checking out one of these awesome cruises. 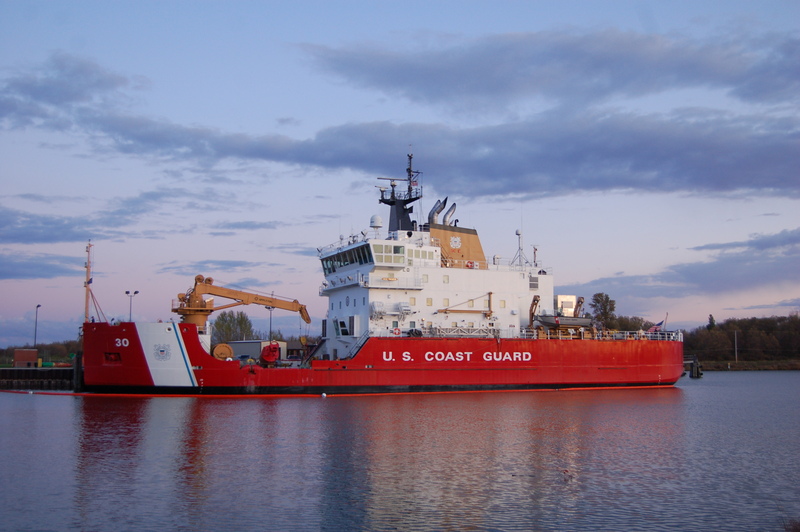 There are four different options to choose from, each with at least two departures during the summer/early fall. 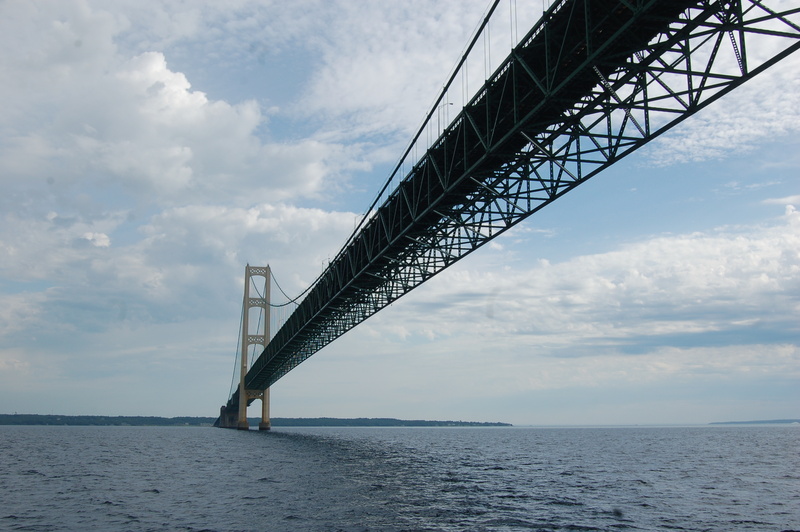 The Westbound Cruise will take you under the Mackinac Bridge before heading to the scenic red and white striped White Shoal Light. This 125-foot tall lighthouse is often used in state promotions – you may have seen it on Michigan’s “Save our Lights” license plates. 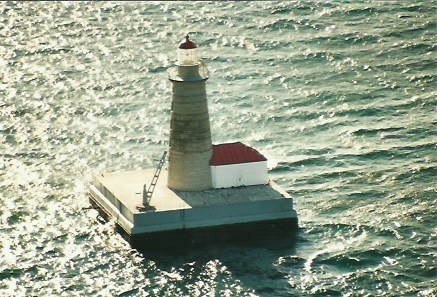 After White Shoal, you will stop at Gray’s Reef Light, a 65-foot tall beacon that has a range of 15 miles. 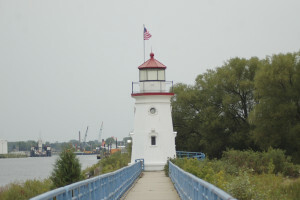 It has been on the National Register of Historic Places since 2005. 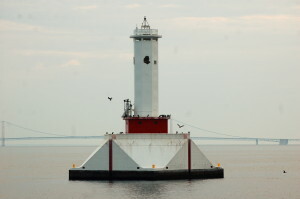 Next up is Waugoshance Shoal Light, a structure that has seen quite a bit of wear and tear over the years. 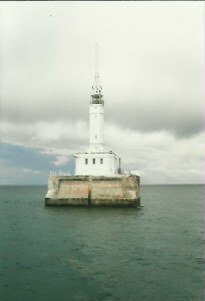 Used for bombing practice during World War II, only the tower remains today and even that is quite amazing. The final lighthouse on this tour is St. Helena Island Lighthouse, one of the true success stories of lighthouse preservation and restoration. 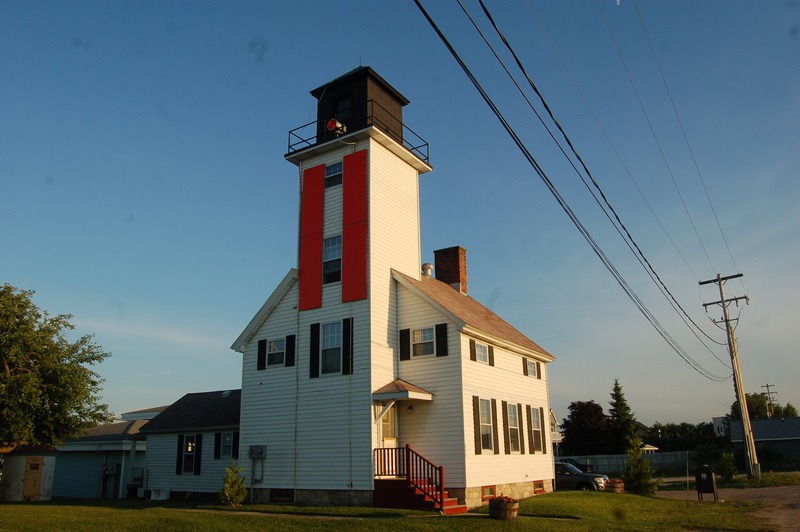 What was once a structure in disrepair is now a restored and cleanly painted lighthouse that stands tall as a 63-foot active beacon in the Straits region. 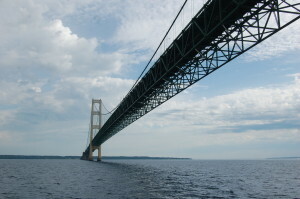 The Westbound Cruise is offered June 23 and 27, July 13, 16, 22, 27 and 30, August 4, 18, 22 and 29, and September 5, 9 and 15. The June 27 and July 27 cruises are night/sunset cruises. 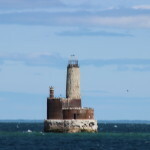 An extended version of this cruise that also includes the Skilagalee (Ile Aux Galets) Light departs on July 1 and 7, August 10, and September 2 and 12. 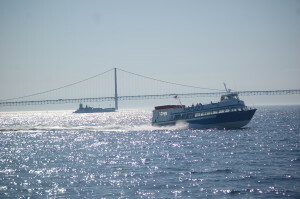 The Eastbound Cruise also begins by passing under the Mackinac Bridge, before heading towards Mackinac Island to see the Round Island Lighthouse (above) and Round Island Passage Light (below). 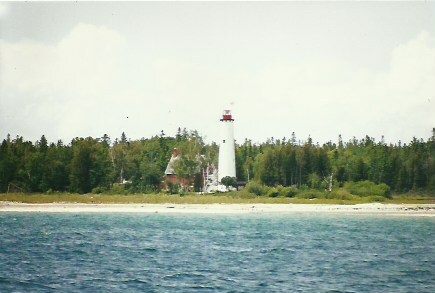 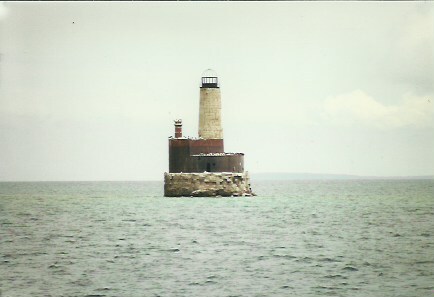 After seeing the Round Island lights, the cruise heads past the Bois Blanc Island Lighthouse and on towards Cheboygan where you will take in the offshore Poe Reef Light and 14 Foot Shoal Light. From there, the cruise heads in to Cheboygan, where you’ll get to see the white and red Cheboygan Crib Light (above) as well as the Cheboygan River Range Light (below). There’s also a chance that the U.S. Coast Guard Cutter Mackinaw might be docked at its home port here on the river. 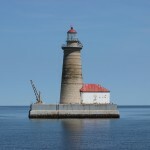 The Eastbound Cruise is offered June 24, July 5, 11, 15, 21, 25 and 29, August 1 (night), 5, 13 and 19, and September 10 and 16. 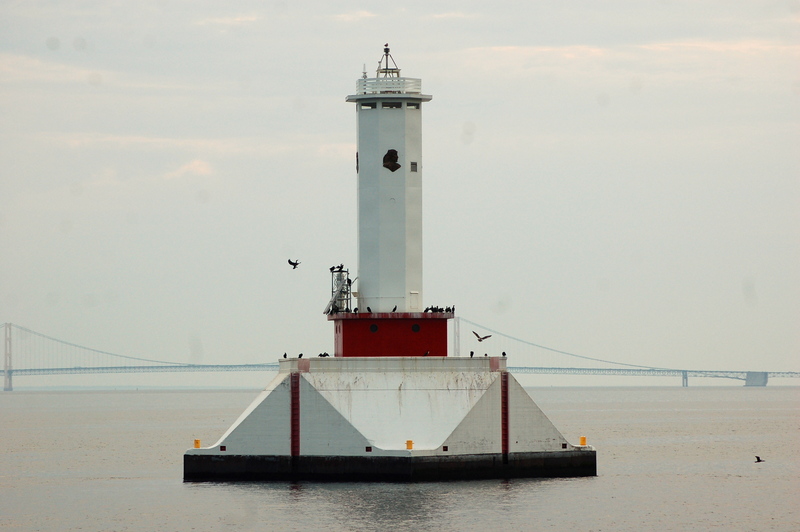 An extended version of this cruise takes visitors to the stunning Spectacle Reef Light (see below) and departs on June 30, July 8 and September 13. 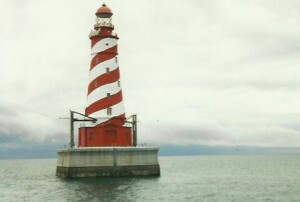 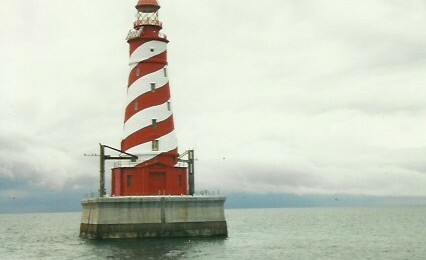 The Spectacle Reef Light was featured on a 32-cent U.S. Postage Stamp in 1995. 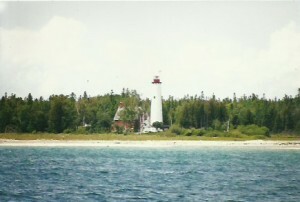 Another cruise is a Les Cheneaux Islands excursion that departs on August 8 and September 1. 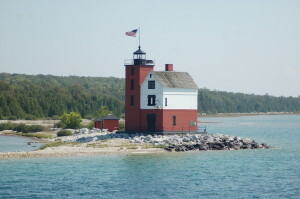 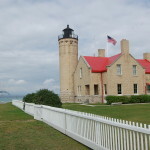 This trip takes passengers around Mackinac Island and past the stunning Les Cheneaux Islands before passing by six lighthouses: Martin Reef Light, DeTour Reef Light, Bois Blanc Island Lighthouse, Spectacle Reef Light, Round Island Passage Light and the Round Island Lighthouse.